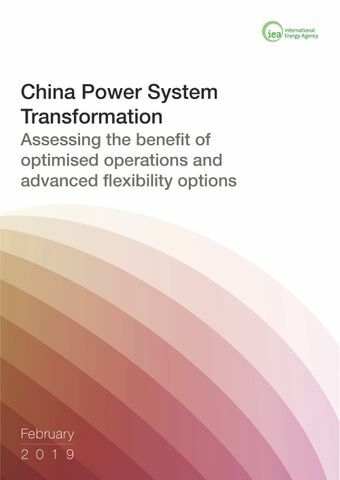 China Power System Transformation has a two-fold objective. First, it provides a summary of the state of play of power system transformation (PST) in the People’s Republic of China (“China”) as well as a comprehensive discussion of PST internationally. This includes a comprehensive review of all possible sources of power system flexibility (power plants, grid infrastructure, storage, and demand-side response) and a detailed discussion of market, policy, and regulatory frameworks to effectively mobilise power system flexibility. Second, it presents findings from a detailed power sector modelling exercise for China in 2035, building on the 2018 World Energy Outlook New Policies and Sustainable Development Scenarios. The modelling identifies the establishment of spot markets and trade between provinces as two of the main elements to improve system operation efficiency in China. In order to integrate very high shares of variable renewables consistent with the WEO SDS, activating the demand side – especially electric vehicles – and targeted use of electricity storage are found to be crucial for an accelerated transformation of the Chinese power system.